DISH announced today that during the first half of this year, they’ll give customers the option to control their TV experience using Google Assistant. The new feature will come to Hopper, Joey, and Wally boxes. 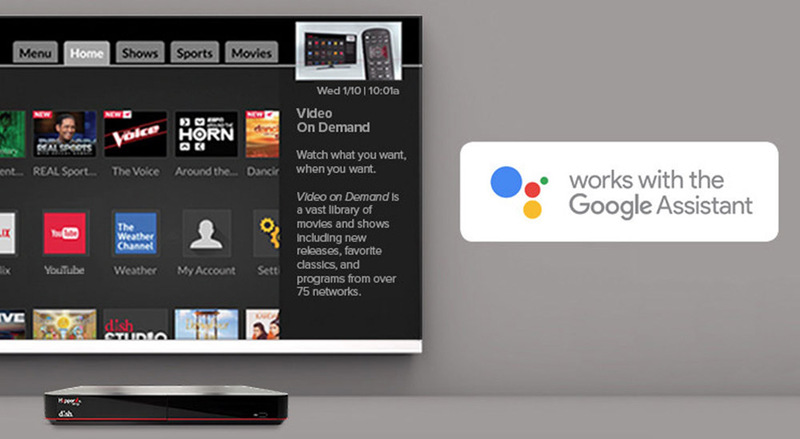 The Google Assistant integration will happen when you pair your set top box with a Google Home, Android phone, or iPhone. Once you’ve done that, you’ll be able to change channels by voice, search for shows, skip forward or rewind, and pause/resume.